Each specialization and their corresponding certification packages discrete ‘Community of Practice’ portions of UIUC CoB digital MBA and positions them firmly in both advanced practice and collegiate degree markets. Between now and 2016, the school will put all the courses required for its traditional MBA program on Coursera and they will be available free of charge. Students can explore, experience and digest courses selected to meet their interest or need or they can take the program curriculum. If no credit or certificates are of interest, the program is free. However, to earn a degree one must apply, be accepted, enroll, complete with satisfactory grades and pay an estimated $20K (other comparable MBAs cost $75K to 100+K). If one wishes to earn a certificate, such as, the Digital Marketing specialization, which is available now, the cost is $474. The DM Certificate curriculum consists of 5 courses plus a capstone. Learners can pay as they go or all at once. The UIUC iMBA is designed and intended to be disruptive. It is built upon the next generation curriculum architecture. It optimizes the emerging digital learning ecosystem, connecting the curriculum directly to learners everywhere. It embeds assessment in the design, and provides certificates of achievement for high value course sequences as standalone or stacked credentials. It, combined with, Georgia Tech / Udacity / ATT $7K Masters in Computer Science are signs that large scale (MOOC/SOOC type) curricula are moving beyond proof of concept. It is reasonable to expect that monetizing large scale curricula will continue to evolve. Paradigm Shift: Crisis, Opportunity or Myth? Who are the engaged learners? What objectives do engaged learners seek? What learning provider models and curricula are available to the learners? What learning theories and methods are appropriate for specific learners and the objectives they seek? What is the optimum curriculum architecture for an institution or educational entity in the 21st Century? What specific curriculum can be configured to meet the learning needs of the learner population(s) an institution has chosen or been charged to serve? What support services are necessary to enable specific learner population(s) to successfully complete the curriculum and meet their objectives? 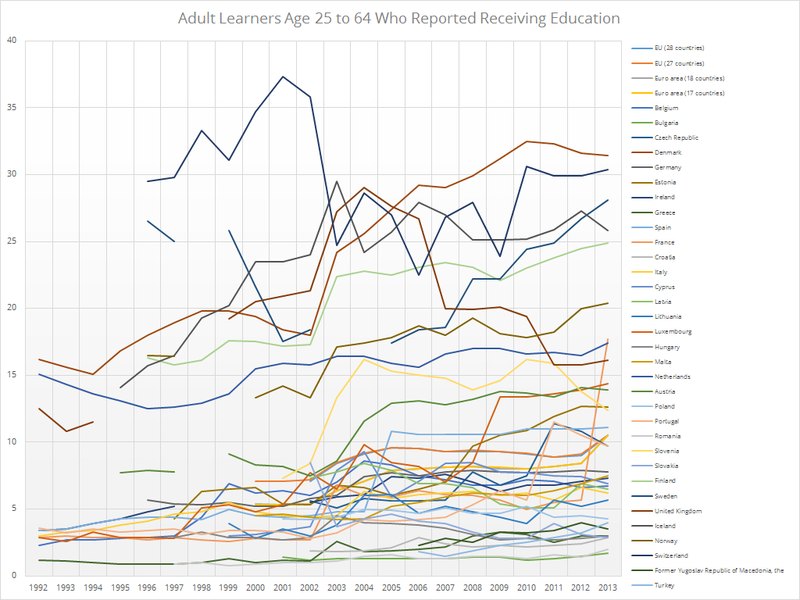 In this post we will focus on the numbers of learners in the adult learning marketplace. We begin in Europe. 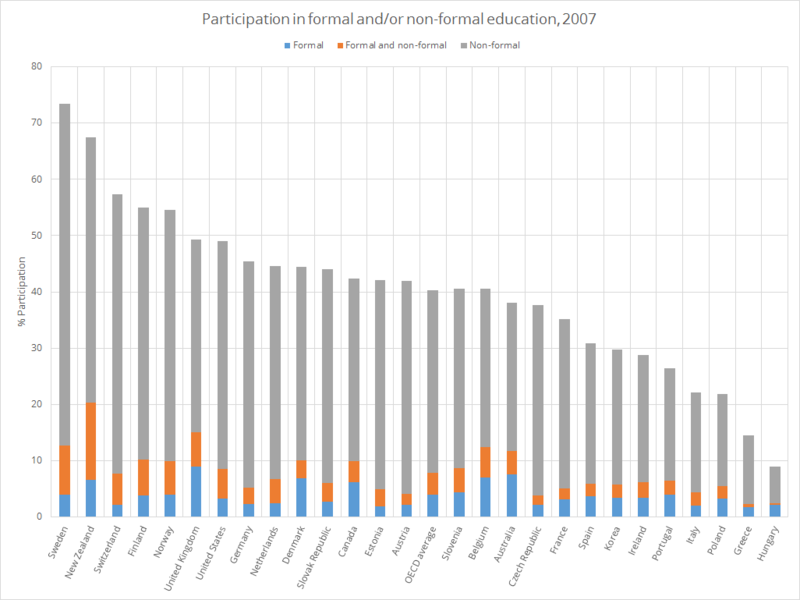 Across the OECD, more than 40% of adults participate in formal and/or non-formal education in a given year. (This is the same range as U.S. adult participation rates.) The proportion ranges from more than 60% in New Zealand and Sweden to less than 15% in Greece and Hungary. 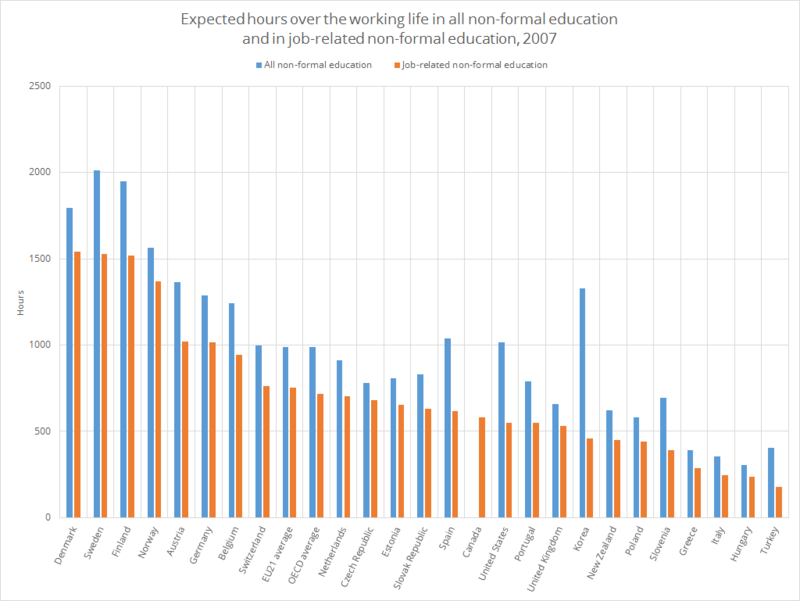 On average in the OECD area, an individual can expect to receive 988 hours of instruction in non-formal education during his or her working life, of which 715 hours are instruction in job-related non-formal education. Overall, 27% of adults in OECD countries have looked for information on learning possibilities in the preceding 12 months, and 87% of those seeking information found some. Eurostat is the statistical office of the European Union situated in Luxembourg. It provides the European Union with statistics that enable comparisons between countries and regions. The Adult Education Survey (AES) is a household survey on lifelong learning. People living in private households are interviewed about their participation in education and training activities (formal, non-formal and informal learning). The target population of the survey is composed of people aged 25 to 64. The survey takes place every five years and its results are published on Eurostat website. Eurostat also provides Population Statistics of European countries. The variability in participation rates among the European nations is profound. The focus on assessing and enhancing participation in educational activities however, is universally among the highest priorities. For deeper insights a visit to the OECD Skills Outlook 2013: First Results from the Survey of Adult Skills, is worth the time. The National Center for Education Statistics (NCES) is the primary U.S. entity for collecting and analyzing data related to education. The National Household Education Surveys Program (NHES) provides descriptive data on the educational activities of the U.S. population, thereby offering policymakers, researchers, and educators a variety of statistics on the condition of education in the United States. 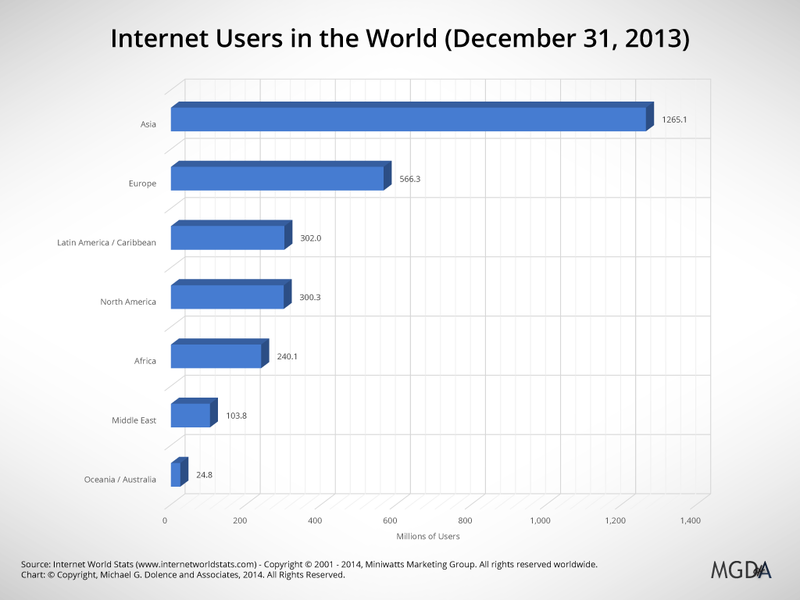 The latest numbers for the U.S. 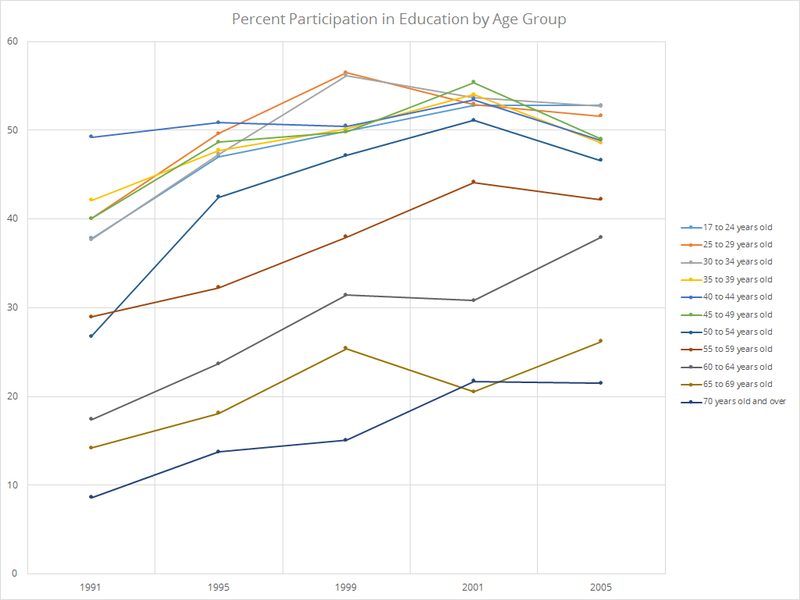 Adult Participation Rates is for 2005. Breaking out the rates by age group highlights that Eurostat begins its age classifications of adult learners at 25 where as the U.S. NHES included 17-24 year olds. Reflecting on the characteristics of enrolled college students informs a deeper look at adult learning strategies. 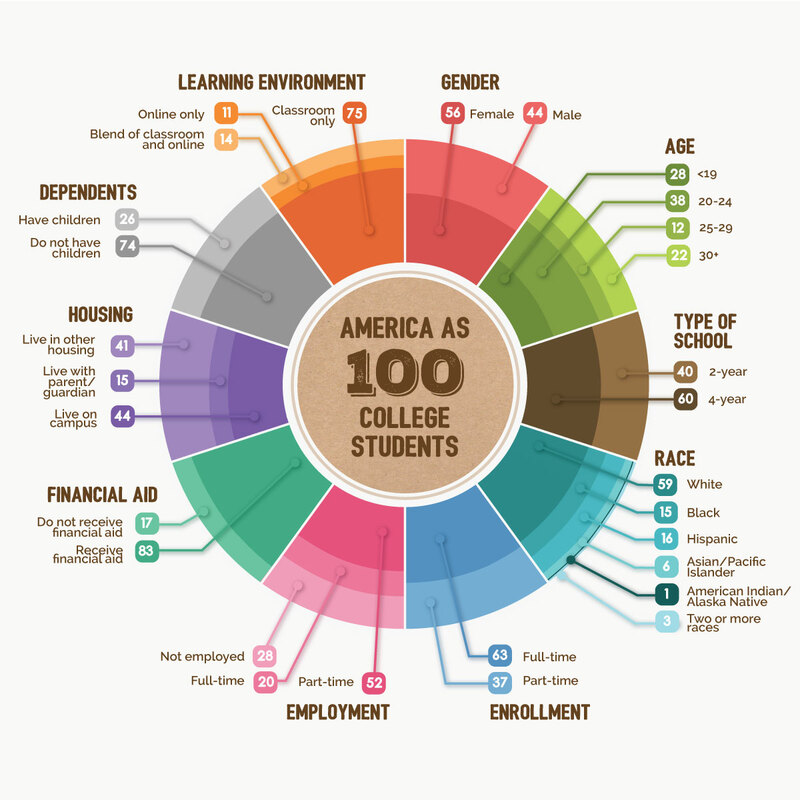 The Bill and Melinda Gates Foundation published an effective demographic infographic detailing what America would look like as 100 College Students. 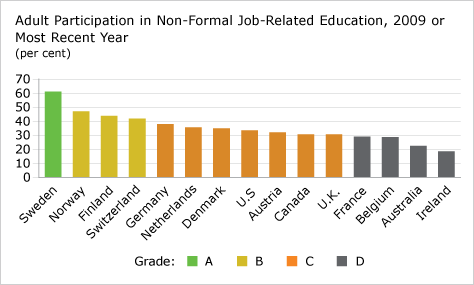 Each nation exhibits a competitive concern over educational achievement by adult learners as a main component of their economic vitality strategy. The Conference Board of Canada has produced a website that presents data and analysis on Canada’s national and provincial performance relative to that of 15 peer countries in six performance categories: Economy, Innovation, Environment, Education and Skills, Health, and Society. How Canada Performs is a multi-year research program to help leaders identify relative strengths and weaknesses in the socio-economic performance of Canada and its provinces. It helps policy-makers, organization leaders, and all Canadians answer the following questions: How do the quality-of-life report cards for Canada and its provinces compare to those of peer countries? Is Canada’s quality of life sustainable? Has there been an improvement? What must Canada and the provinces do to provide a high and sustainable quality of life for all Canadians? For Asia a great place to start is The State and Development of Adult Learning and Education in Asia and the Pacific report by UNESCO. Insights from the report help establish the climate for Adult Learners. For Africa, the same source different publication: The State and Development of Adult Learning and Education in Subsaharan Africa. After decades of sustained efforts to eradicate illiteracy in Africa, illiteracy rates of adults remain high with continuing gender and urban/rural disparities. Illiteracy has several correlations with low productivity, low incomes and poorer health (and susceptibility to HIV/AIDS). It hampers national development efforts. It is a bar to much adult education. The enormous growth in free universal primary education in Africa will gradually alleviate this problem, but drop-out rates from primary schooling remain high. The number of people needing adult basic education still grows and few resources are left over from primary education for children. The adult education sub-sector of state education systems remains relatively marginal and under-funded, in spite of the good economic progress in many countries since the mid-1990s. It means the demand for curriculum among adult learners is huge and growing globally. The demand must be considered in addition to the focus on traditional 18 to 22 year old undergraduates. In order to translate that into place based learning one must define the place (the specific area in which learners reside), select the closest approximation of participation rate by curriculum category and calculate the theoretical demand. In the U.S. we begin with the U.S. and World Population Clock. In the U.S. there is One Birth every 8 seconds; One Death every 12 seconds; One International In Migration every 33 seconds; for a Net Gain of One Person every 16 seconds. This establishes the context of rate of change over time. Once a population and a rate is established, an adult learning population can be estimated. In the U.S. there are approximately 320.2 million people, and an estimated 180.7 million 21 to 65 year olds. Given a 40% participation rate there are an estimated 72.3 million adults in the U.S. Learning Marketplace Annually. Of course these are rough framing estimates but they indicate that adult learning is a well established and important strategic element of social and economic vitality. It must also be a strategic element of framing higher education strategies for the next millennium. 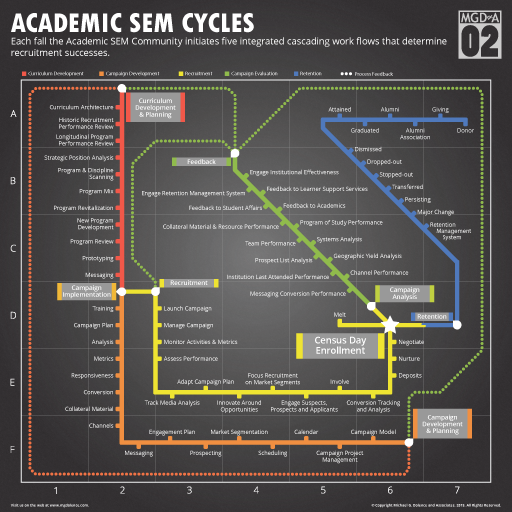 To approach these markets new academic strategies must be developed. The foundation of the emerging new learning ecosystem is the global digital infrastructure and the level of access to it. This post is one element in the equation, the evidence of access to the digital realm and the utilization of communications systems that reside in it. Understanding the emergence of the Global Digital Learning Ecosystem is the first step in understanding the implications of this paradigm shift for education and learning. Use the following resources to explore digital learning environments a little deeper. A paradigm shift challenges every organization to develop the capacity to meet new demands. New paradigm means new rules, new relationships, new patterns and new models of efficiency and effectiveness. The shift to a digital learning ecosystem characterized by open curricula, vast amounts of digital information, ubiquitous interpersonal communications via social networking and fluid global interconnections, challenges every aspect of our current post-secondary models. Demands for accountability for public and personal funds (coupled with a staggering $1 Trillion Student Debt), the persistent emphasis on meaningful formative assessment, and the growing expectations of higher performance learning environments, place extraordinary demands on institutional capacity. As institutions scramble to develop in-house skills, systems and solutions the first question becomes; What guides the process? The development of a prototype plan provides a rapid means of organizing an approach and process for addressing the demands of the paradigm shift. Since the paradigm is new it means assessing the capacity of the institution to address, capitalize on, and/or optimize the features of the new paradigm. The function of developing a prototype plan in a planning process is to enable the discovery of what is unknown, encourage review of options that may not be popular or well understood, and take an unbridled view of the future and implications for the organization. Figure 1 illustrates the relationship where required capacity is defined that which is required by a post paradigm shift institution. 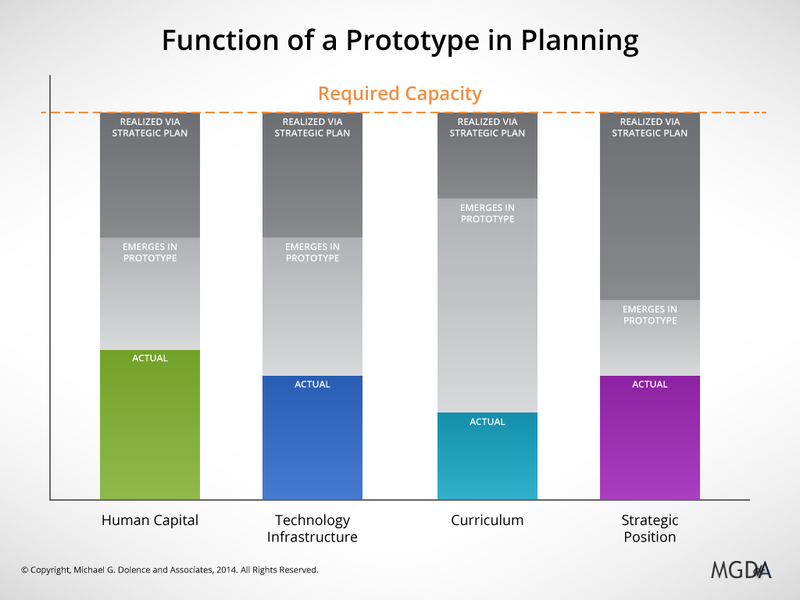 Figure 1 – Function of a Prototype in Planning: The relationship where required capacity is defined that which is required by a post paradigm shift institution. Responding to or accommodating the magnitude of the change in a paradigm shift requires a formal plan that defines a new reality, and moves beyond the status quo, and the comfort zones of the past. A big challenge to be sure. One of the first questions to emerge is; Do we have the capacity to meet the challenge of a paradigm shift? This question must be addressed twice, once in developing the prototype that guides the future view, and again once the prototype moves forward and begins to refine emerging strategies, goals and objectives in further development of the formal strategic plan and its implementation. Since the paradigm shift establishes the context it must be clearly articulated. The first step in developing the capacity to change, is to declare the need and substantiate the reasons change is required. The mandate for change must be clear and concise. One approach to change is to charge a team with developing a rapid prototype plan. The charge to the team begins to guide and shapes the capacity that needs to be present in both planning process and the organization that the plan creates. A great example of a charge to a group to prototype a plan with a vision is detailed in the Final Report of the Institute-wide Task Force on the Future of MIT, July 28, 2014. Propose an “ecosystem” for ongoing research, learning and innovation about the future of education. Recommend a range of possible experiments and pilot projects that will allow us to explore the future of MIT education. On our own campus, in ways that incorporate online learning tools to the fullest extent while maximizing the value of face-to-face learning for both faculty and students. Evaluate the future strength and sustainability of MIT’s current financial model in this evolving context and propose alternative or complementary approaches. Develop a roadmap that will describe the work streams and the phases of work necessary to enable this ecosystem and implement these experiments. Notice the artful characterization of the prototype as a roadmap. Hopefully, in a previous post “Change the Paradigm,” I was clear that a vision is needed in order to get a strategic plan that guides the institution into the future. In the MIT taskforce charge, the future is referenced as an ecosystem. 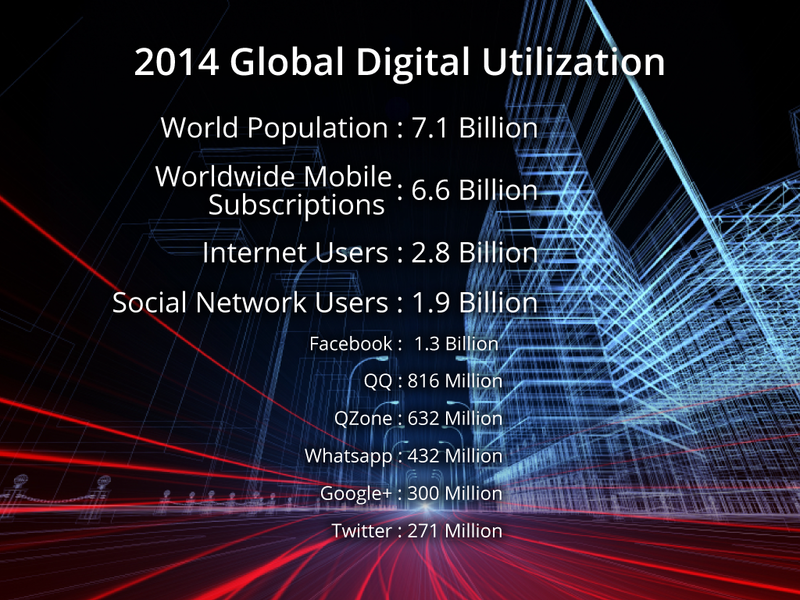 The parameters of a global context and digital learning environment are called out. The concept of sustainability is anchored in MIT’s business model, and the importance is underpinned by service to humanity. Once the mandate for change is clear, and the group is charged the work must be accommodated and that means making time for it. Remember the task force is just the first round of translating the mandate for change into a roadmap for the future. 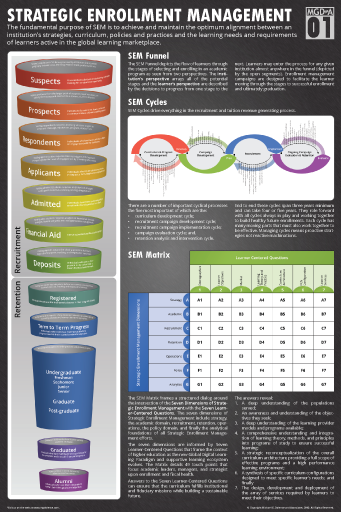 Subsequent rounds go deeper into the organization and align organizational capacities with future requirements. We could easily have labeled this one people because having the right people focused on the future is so essential. Time and again, we see in our planning practice, all of the right people are appointed to the process, but that does not mean they have, can or will make the time to invest in it. The first symptom is substitutions at meetings. When that is mitigated by presidential decree, we see behaviors like individuals showing up with routine work to do while they sit in a meeting. Or they ‘revolving door’ the meeting to take calls, or are interrupted by their staff. So even if you have the right people in the process with the intent that they are contributing knowledge, insight and skill in shaping the context; the single biggest obstacle to success may be the failure to make time for the work that is required to meet future needs and challenges. New initiatives clash with beliefs and behaviors where the challenges and needs of the past take the first claim on time. The planning process must raise and deal with the issue of making time for the work ahead. Two of the implications emerging from understanding time strategy (there are more) are the issue of complexity and the emergence shorthand references that are not understood (and are afraid to ask). The first has to do with complexity vs. simplicity. The common expectation is that both solutions and communications be simple and easy to understand. This saves time. But what happens to concepts that are not simple and easy to understand. What happens to deep restructuring and rethinking an enterprise (the kind of planning required in a paradigm shift). In our curricular and enrollment management work we experience the constant pressure to distill very complex scenarios into sound bites and quick fixes. 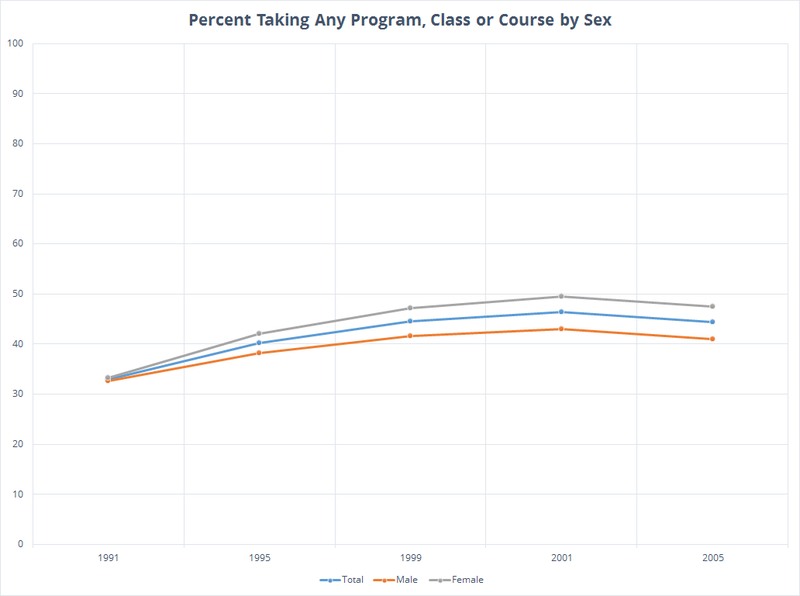 We often face distracting fairy tales such as ‘branding is a solution to systemic enrollment decline’ or cloning a program of study being misrepresented as innovation. We see getting courses online becomes more important than developing a sustainable digital learning strategy, and we see impatience that leads to bad decisions and wasted academic cycles and institutional budgets. The second is the use of abbreviated lexicon that is meant to transmit a complete understanding in as few words as possible (presumably this makes it quicker and easier to read). Examples often appear in published plans whose primary feature is a list of Strategies, Goals and Objectives (shorthand for these is the designation SGO’s). The SGO’s or even worse a list of strengths, weaknesses, opportunities and threats (SWOT Analysis) is postured as a strategic plan. They are a basic list, and the expectation is that everyone can read the list and know what needs to get done. They (whoever they are) are then expected to go do it. But in reality does a list mean everyone gets it? Of course not. Will a list change behavior? No. Can understanding be derived from reading a list of what must be done or is expected? It is unlikely, so we must ask is there a better way? Evidence in change management indicate lists are insufficient. As a result of this evidence we proposed the development of a Prototype Strategic Plan that can be more than a list of SGO’s or a list of strengths, weaknesses, opportunities and threats. The prototype plan and the process that creates it must bring clarity to the context of the path ahead. So how does one develop clarity of the path ahead? Clarity begins with establishing a common context for the planning participants. The context is established when data and information are gathered, shared and discussed. Context is established when terms are defined, and timelines framed. Context is established when parameters, relationships, limits, norms, minimums and standards are introduced and understood. Context is established when strengths, weaknesses, opportunities and threats are identified, defined and understood. Clarity is then advanced when there are discussions and agreements on what the context means to the future of the planning entity (department, school, college, institution). Developing agreement on direction means understanding the concept of intent. I find Daryl Conner’s Blog on managing intent very approachable for clients and colleagues. His four part series is well worth the read. Clarity of the context of the future and the options available to the institution enables the development of a vision that provides a synthesized view of the organizations potential future. Too often the vision is developed as a vision statement and lacks sufficient depth or clarity to guide a plan. Hopefully in “Change the Paradigm,” it was clear that a vision of substance is needed in order to get a strategic plan that guides the institution into the future. In another post, Developing Institutional Strategy, the SRS method MGDA uses to develop and synthesize a future view is introduced. For a great example of a prototype plan that articulates a vision of the future examine the MIT Final Report of the Institute-wide Task Force on the Future of MIT. For MIT, the headings guide the logic in this report with Laying a Foundation for the Future, then developing the concept of Transforming Pedagogy. The reason is made clear in the next section Extending MIT’s Educational Impact, which then comes back around to Enabling the Future of MIT Education and opening it back up to vision with Imagining the Future of MIT Education. Embedded in the report are sixteen recommendations. Many of the recommendations are about developing capacity. The Task Force recommends that MIT establish an Initiative for Educational Innovation to build on the momentum of the Task Force, enable bold experimentation, and realize the future the Task Force has imagined for education on campus and beyond. The Task Force recommends that the new Initiative for Educational Innovation engage in bold experiments to catalyze ongoing research, learning, and innovation about the future of MIT residential education. The Task Force recommends that MIT build on the success of freshman learning communities and consider future expansions of the cohort-based freshman learning community model. The Task Force recommends that the Institute use online and blended learning to strengthen the teaching of communications. The Task Force recommends that MIT create an Undergraduate Service Opportunities Program (USOP). The Task Force recommends that the Institute explore online and blended learning models to improve graduate curriculum accessibility. The Task Force recommends that this commitment to pedagogical innovation for the residential campus be extended to the world to set the tone for a new generation of learners, teachers, and institutions. The Task Force recommends supporting efforts to create a lasting community and knowledge base for MITx learners. The Task Force recommends that MIT define a K-12 strategy through a special interest group under the auspices of the Initiative for Educational Innovation. The Task Force recommends that the Institute create new opportunities for engagement between the MIT community and the world. The Task Force recommends that MIT move forward to consider the types of certifications that can be supported through MITx and edX, and develop pricing methodologies and revenue-sharing arrangements for agreed-upon certifications. The Task Force recommends that MIT strengthen its commitment to access and affordability. The Task Force recommends that the Institute expand fundraising activities to embrace a broader MIT community. The Task Force recommends that MIT charge an ad-hoc working group to further evaluate revenue opportunities surrounding technology licensing and venture funding. The Task Force recommends that the Institute establish a working group on spaces for future student life and learning to bring together stakeholders from around campus to envision, plan, and create spaces for the future of MIT education. The Task Force recommends that MIT bolster infrastructure for Executive and Professional Education to reduce barriers to offering programs and engage more faculty to broaden program delivery. The summary above outlines recommendations for MIT moving into the future. It is not a strategic plan but rather a prototype in the form of a report, developed by an extensive task force that deeply examined MIT and developed a future view. Not a perfect view but a glimpse of MIT as the 21st century emerges and a proposed series of recommendations to get there. The next phase (and some of the working groups from MIT extended their work into the next phase) involves determining and analyzing the knowledge, skills, and resources necessary to achieve the vision of MIT in the future. Be sure to read the preliminary report included in the MIT Final Report ( Appendix 5 beginning on page 105). The vision permits the development and defining of detailed capacity specifications. The new millennium marches on and it is a digital era. Does this mean all face-to-face teaching and learning will disappear, no of course not. But change is flowing through the population as learners are born into and acculturated to a digital reality not analog environments. The digital age is an era where learning is increasingly being disintermediated. We are faced with the issue of the magnitude of change required to meet the challenges presented by a paradigm shift to a global digital learning ecosystem. This is not an era of quick fixes, slap together a strategic plan and everything is ready to go. It is not an era of wait for it all to settle out and then go cherry pick the best ideas and proven strategies. The paradigm shift requires deep sustained planning. Developing the capacity, knowledge, skills and resources for such planning is urgent and in short supply. Acquiring the requisite knowledge, skills and resources of how to manage the paradigm shift and not only survive but flourish defines MGDA’s practice. A little adviceon moving forward. Capacity is not something that is achieved but rather a process of constantly developing and building. It is a characteristic that degrades when not paid attention to. The future of Higher Education is built on an emerging new level of professionalism and specialized expertise required to conceptualize, design, build, implement and evaluate the academic enterprise of the future. This requires academic leadership to help faculty and academic support to move to a new level of understanding of the future of higher education. This means relentless focus on educating for the future and learning to build capacity. A must is allocating a learning and professional development budget. This post outlines the need to pay strategic attention to the issue of organizational capacity beginning with understanding the context of the global shift to a digital learning ecosystem. As one of the four framing strategies in the development of a prototype plan the concept moves the institution forward by developing the capacity of the organization to understand and meet the challenges of the future. The following resources are great places to begin sorting out the facts about Digital Learning Environments and the development, evolution and effectiveness of eLearning. Understanding the effectiveness, design, efficiencies, and operation of digital learning environments is a process that takes longer than a five minute web flyby. But these flybys should get a first round of questions raised and framed. The first, a quick read, is a post titled 30 Criticisms Of eLearning That Just Might Be Myths. It appeared in the te@chthought.com blog on January 13 2013. The second is an excellent read (a bit older but very timely) posted by Marc Rosenberg October 11, 2011 in a two part article in Learning Solutions Magazine titled eLearning Myths Part1 and Part 2. Marc outlines and frames 11 items as candidates for eLearning myth. While we are at it why don’t we begin to explore other education myths. As a jumping off point the 18 Myths of Education Infographic posted November 22, 2013 on eLearninginfographics.com should serve to queue up some questions.